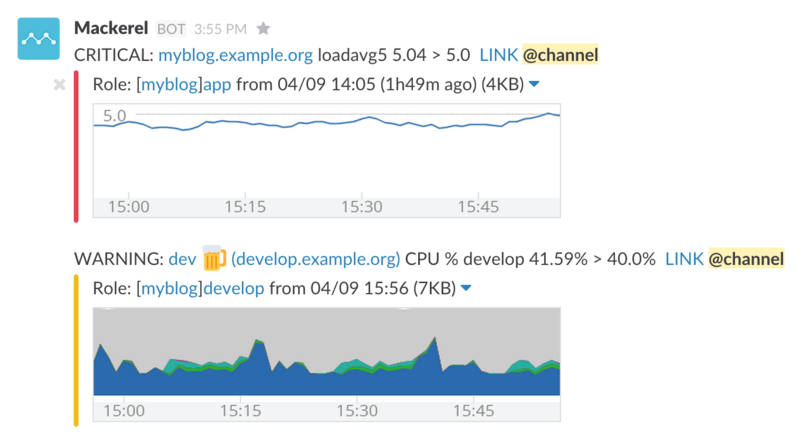 Slack is a popular chat service used to speed up real-time communication within a development team or company setting. Using Slack notifications, you can have alert notifications from your Mackerel organization sent directly to any Slack channel or private group you designate where they will appear in the channel or group's feed. 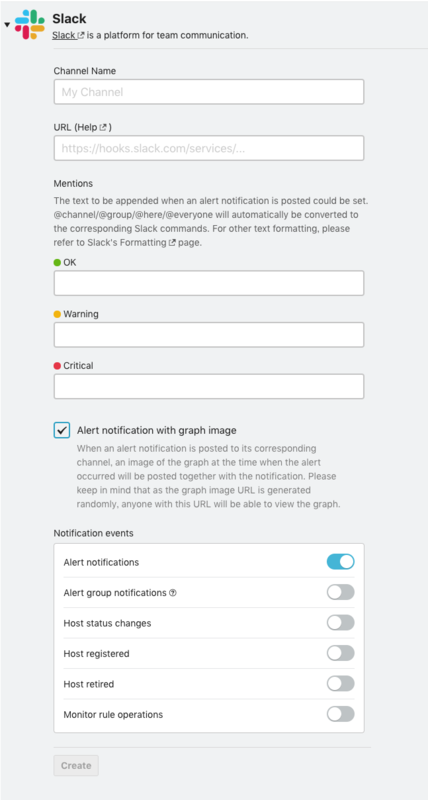 When a notification appears in Slack, a link to the alert page and links to the services and roles pertaining to the host that triggered the alert as well as an image of the graph showing the alert will be displayed. Copy the Webhook URL which is then displayed and paste the URL back in Mackerel. In the “Mentions” drop down menus you can decide what types of alerts you would like to be notified of and who should be able to see notifications. Click “Create” to complete set-up. To test the new notification channel, go back to the “Channels” page and click the “Test” button next to the Slack channel. 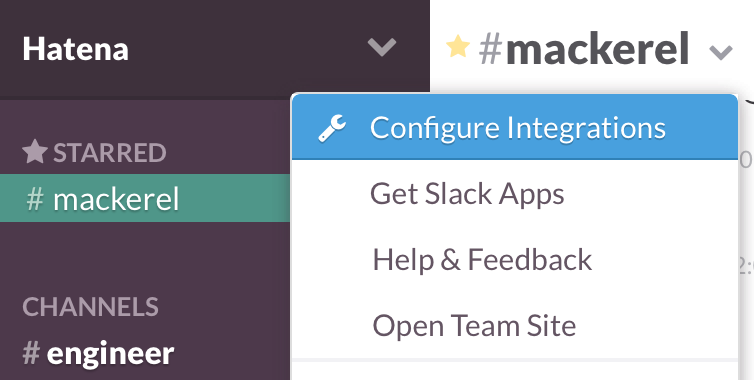 If everything was configured correctly, you should receive a notification in Slack instantly.